We believe this T-shirt will cause a thematic shift in the T-shirt industry. 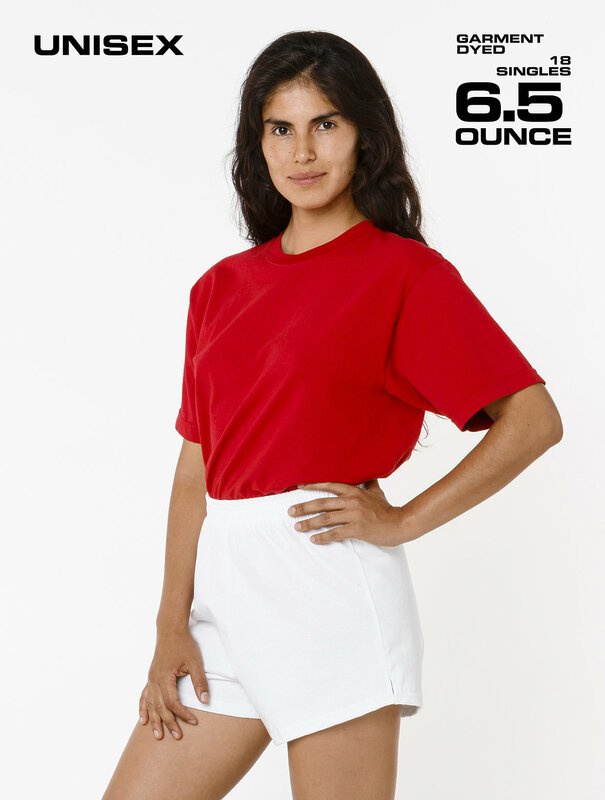 Made of 100% USA cotton, this textile is beefy, durable, and absorbent, and is virtually shrink free as a result of garment dyeing. The garment is washed with natural enzymes, resulting in a broken-in feel, just like a T-shirt that was washed or worn for a decade or two. Its special features include its heavy and sturdy feel and combined with a more generous fit (about 1 wider on the flat then a contemporary T-shirt) and higher neck line.